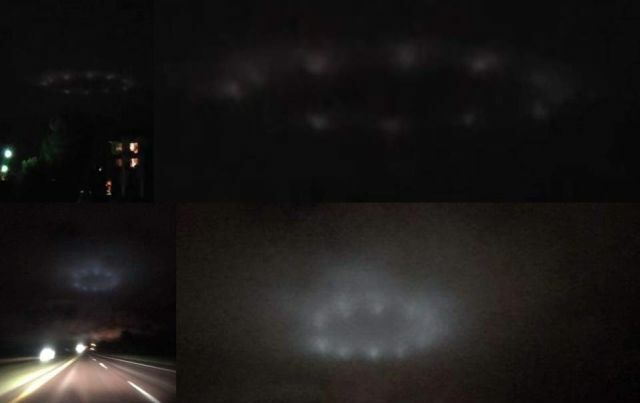 A strange ring of lights like a flying saucer type has been spotted in the sky over Minnesota by several witnesses on different locations on September 14, 2018. 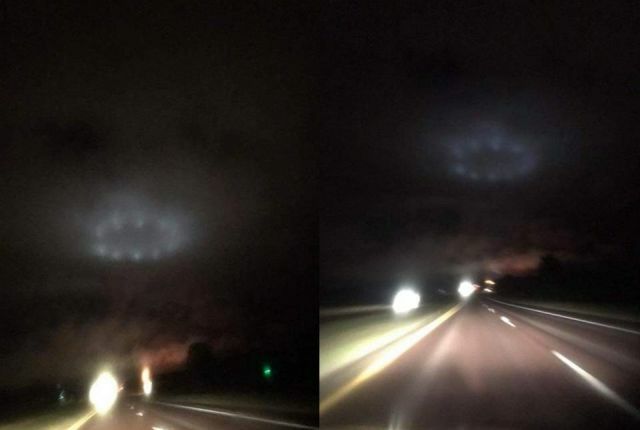 A couple drove home when they suddenly saw something strange above the road at Stillwater in the state of Minnesota. The man and his girlfriend are absolutely convinced that it is not a reflection or something like that because after the object had been hanging over the road for about four minutes, it suddenly flew away with great speed. They managed to capture two images of the UFO. Another witness noticed the UFO above Shakopee Archery Range, Jackson Township, Minnesota and recorded the object, see below video. No doubt it is the same object despite it has changed its color, but what is it?